The second night in LA wasn't originally on the itinerary, but added due to ticket demand. 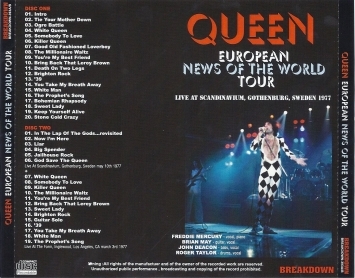 Freddie, after Ogre Battle: "Thank you and good evening everybody! What a load of tarts that we have here tonight. Thank you very much for this lovely welcome tonight. It's really nice to be back here in Los Angeles. It really is. And thank you for bringing us to this place. It looks kind of nice." After Somebody To Love, Brian says, "Thank you for making that a hit over on this beautiful coast. We appreciate that." 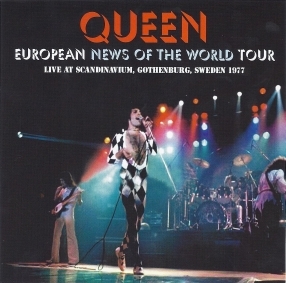 Freddie, before Sweet Lady: "Okay, I've got my glass of champagne. Have you got yours? I know I do this every time we're here but I think it's fun. Queen would like to drink a special toast to everybody here tonight. Cheers, Los Angeles! Thank you very much. May you all have champagne for breakfast tomorrow." He then pours some on the audience and says, "Pass it around." Brian, before '39: "We don't usually do this acoustic stuff as you may have noticed, but we'll have a go this time. This is a song off the last album. It features Mr. Taylor coming up front; a rare appearance. He's over there somewhere. And the dancing toes of Mr. Mercury [Freddie laughs]. It's called '39." Freddie, after delivering a beautiful version of You Take My Breath Away: "And don't I think next time we come back, when we do come back we're gonna bring back an orchestra. What do you think?" The audience erupts. "We might just do that. Might prove interesting." He then refers to the crowd as "a sophisticated rock audience" (a line which he used at many shows on this tour, but not all), much to their delight, before the band offer a killer version of White Man. After having named their last two albums after Marx Brothers films, earlier in the day Queen were invited to Groucho Marx's house for tea. 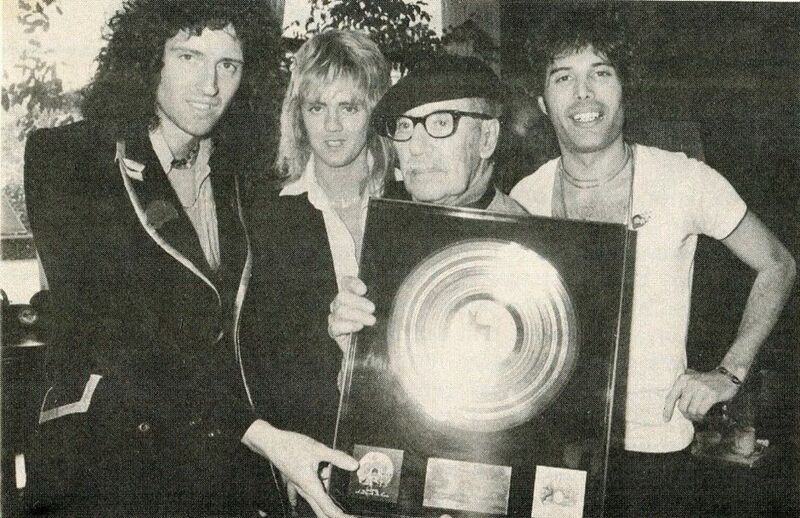 After he sang them a "very strange comedy song" as Brian put it in a 1977 Australian radio interview. He adds how Groucho's accompanist asked them to sing for him, saying 'OK, now you sing a song, you're supposed to be singers!' "We sang '39. We make up kind of an excuse, 'oh, we can't do it with a piano, we have to do it with a guitar', and he says, 'oh, it's alright, we've got a guitar.' So we had to!" 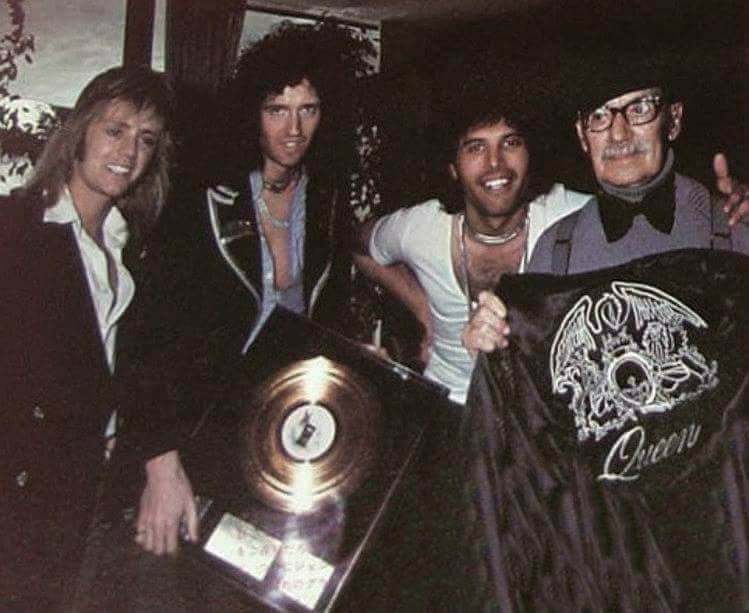 The band gave him a tour jacket and a gold disc in gratitude for his inspiration. Good thing they visited him on this tour, as he passed away a few months later. About half of the concert is captured on this audience recording on which the band sound very powerful. Tie Your Mother Down is missing. This is a very low generation copy, although Side B (from Brighton Rock onward) was not transferred quite as well as side A. The audience members close to the taper totally dig Freddie's vocal gymnastics and effects in The Prophet's Song. 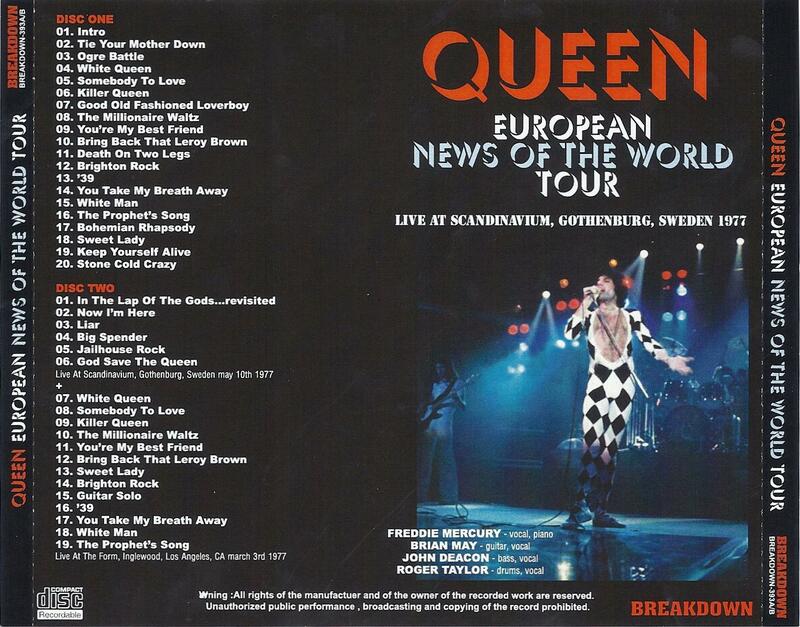 Most of the LA audience tape was tagged onto Breakdown's (poorly named) bootleg of the Gothenburg show. The sound has been sabotaged by digital processing.